If you like a shampoo that gives you billows of lather and reduces hair breakage, this is the shampoo for you! Maple Holistics Silk18 Shampoo is a shampoo good for men, women and children with all hair and scalp types. It is especially good for repairing dry, damaged hair with it's blend of 18 amino acids. Amino acids are protein building blocks. The 18 amino acids in this shampoo are derived from silk and help to strengthen the strands of hair and protect the hairs from damage and breakage. This shampoo contains botanical keratin which is another protein beneficial for strengthening hair. Our hair is made of hard keratin protein just like our nails. Skin is also made of keratin, soft keratin protein. Nutrients in our diet help our bodies create strong, healthy keratin cells for good hair, skin and nails. Applying keratin and other proteins to our hair and nails is beneficial as well. 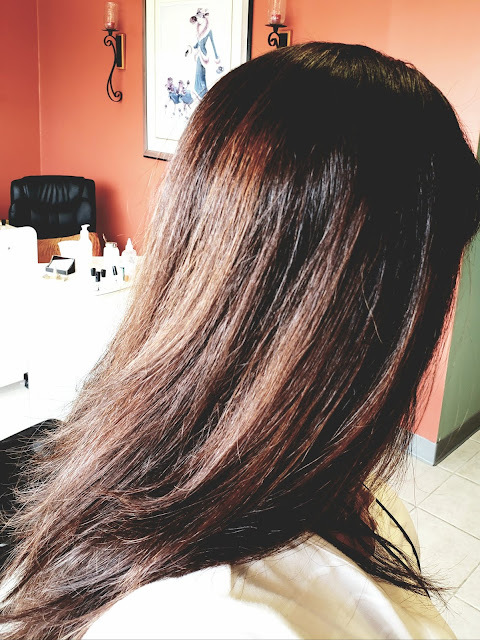 Professional keratin protein treatments done in salons straighten and smooth dry unruly hair. Using a shampoo that contains proteins will also help the hair look smoother and less fly away plus, the hair will be less damaged from the heat from blow dryers, flat and curling irons. Panthenol, aka Vitamin B5, is another nice shampoo ingredient for strengthening, conditioning and adding shine to hair. You can see it's in there, too! The Silk18 shampoo also contains hair loving argan oil, jojoba oil and glycerin to moisturize the hair and give it amazing shine! 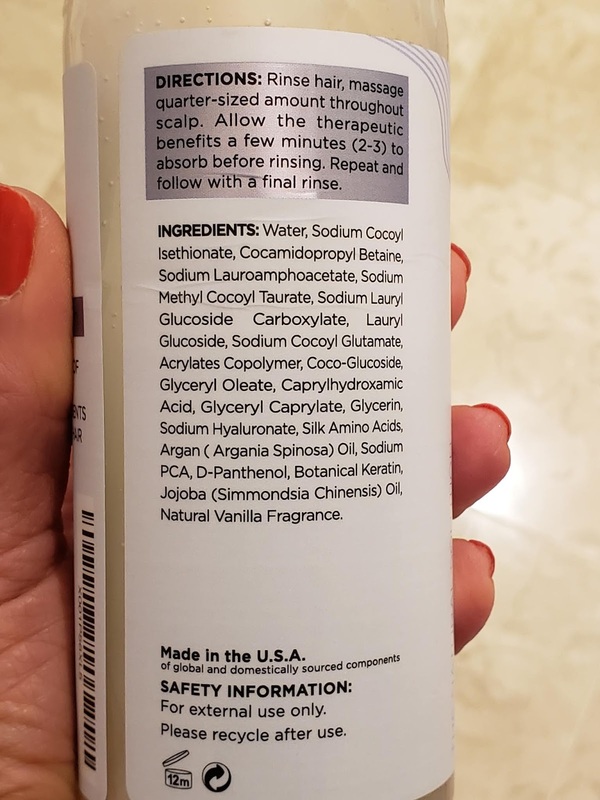 This shampoo is safe for color treated hair and is great for people with sensitive skin. I love a shampoo that really lathers up. I feel like it's foaming away all the dirt, excess oils and dead skin flakes. You only need a quarter sized dollop of Maple Holistics Silk18 Shampoo to create rich lather that leaves your hair feeling super clean and fresh. It has a very light scent of vanilla which is perfect for people who are sensitive to smells and those who don't like hair scents competing with their body wash scents and perfume scents. I find it leaves my hair feeling smooth and silky with beautiful shine. There is a Maple Holistics Silk18 Conditioner which also contains their blend of 18 silk amino acids along with shea butter, jojoba oil, argan oil, aloe and more. Maple Holistic products are cruelty free, are made with natural ingredients, are sulfate free, paraben free and are made in the USA. Many of their products are vegan. The Silk18 shampoo and conditioner are not considered to be vegan because they contain silk amino acids. Maple Holistics products are available from their site and on my favorite, Amazon. A 10 ounce Silk18 Shampoo sells for $12.95. The 16 ounce size sells for $17.95. An 8 ounce Silk18 Conditioner sells for $10.95, 10 ounce is $12.95 and the 16 ounce size is $18.95. 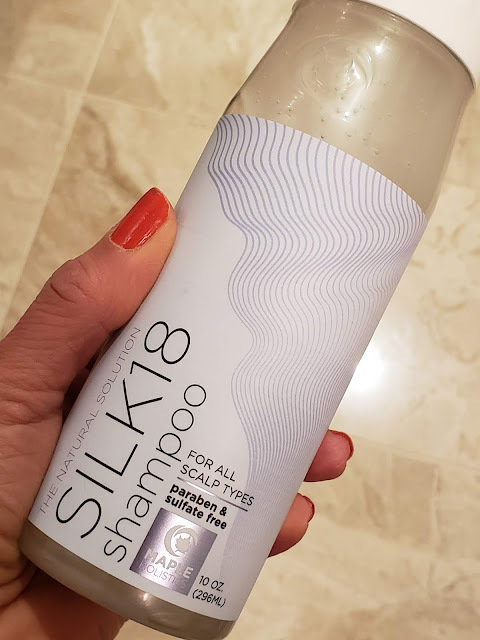 Click here to visit the Silk18 Shampoo page. Maple Holistics makes many other great shampoos and conditioners, too. I just love the smell of their Hydrating Shampoo. Click here to read my review of the Maple Holistics Hydrate Shampoo. Have a Healthy Hair Day!